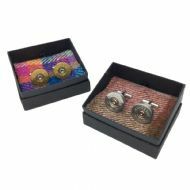 Hannah is a qualified Silversmith and now specializes in making beautiful, eye catching handcrafted brooches and pins. 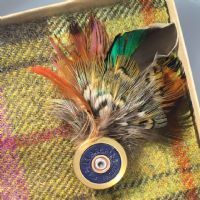 Packaged in tweed-lined boxes, her work has a true country feel. 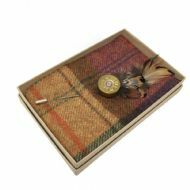 All of her items are made from natural bird feathers and recycled shotgun cartridges, making each one unique!